AshamaneCore is a MMORPG Framework based mostly in C++. Solocraft is a script to increase the players stats in dungeons and raids, based on group size. Use the new built in website to create an account. 1. 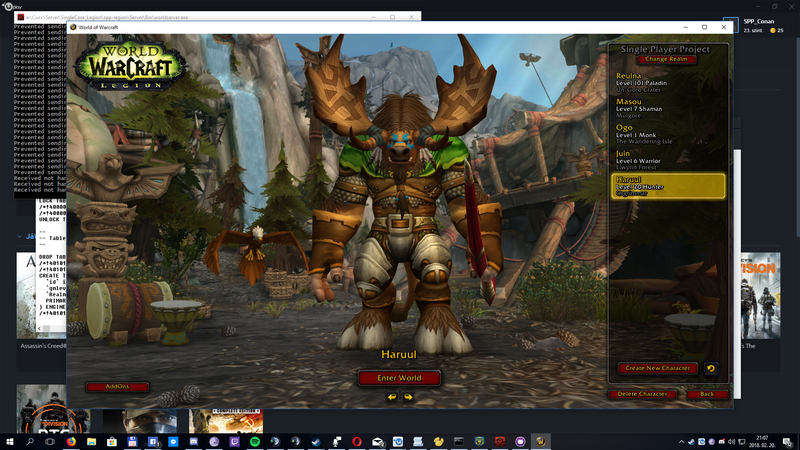 Download any World of Warcraft 7.3.5.26972 or this minimal client. 6. 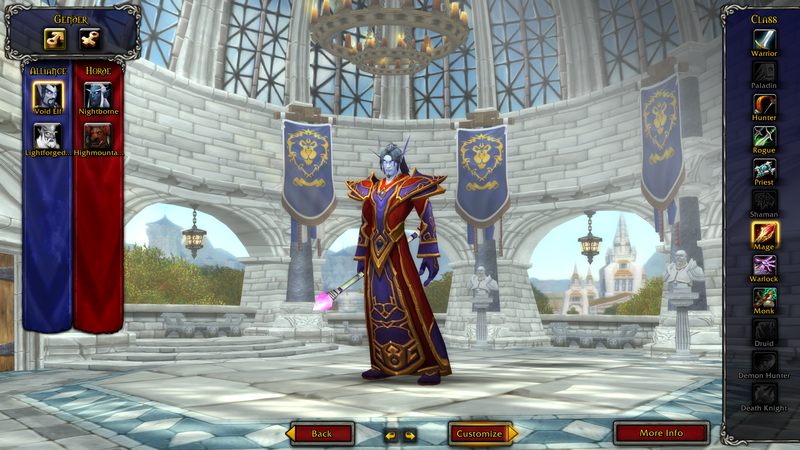 Open the World of Warcraft\WTF\Config.wtf file with a text editor and change the SET portal line to SET portal "127.0.0.1"
Latest patched WoW - 7.3.5 binary for MAC users and allow to connect private servers. Tools also available, but you need Boost 1.60 from Brew. 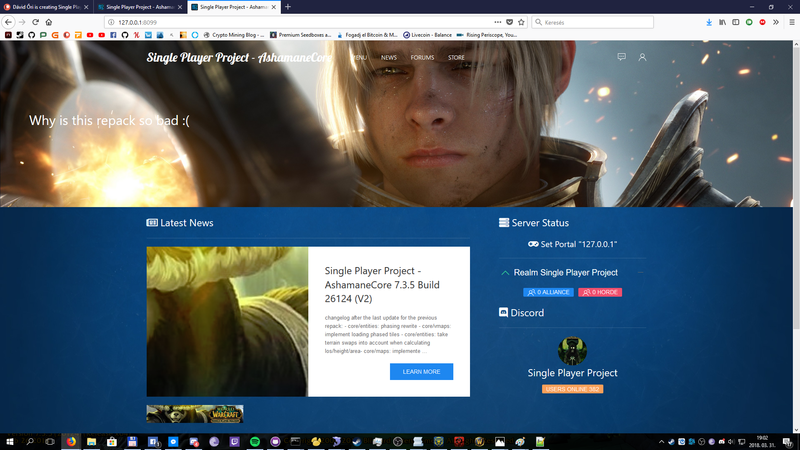 I made this small patch for World of Warcraft: Legion to fix the "CAS" error message if you try to run the game without internet connection. Not tested with the 8.x prepatch. - Copy every file (hidden files too) into your Legion main folder. Last edited by conan513gm; 12-21-2018 at 10:34 AM. Last edited by masterZed; 12-31-2017 at 10:45 PM. Nice work conan , but I am haveing a little bit of trouble on getting this repack to work. SPP-launcher keeps crashing when ever I start the database and if I start the database manualy it works but then when I go start the bnetserver it crashes and says that it cannot open the settings/login.conf file. when I look around the server folder I do not have this file. Last edited by madmax765; 01-01-2018 at 09:42 AM. Failed to initialize SSL context"
dont know if this is becaus I started it manually. if you go into world config you'll see auth,world etc is set at 3306 but needs to set to 3310..
Last edited by jimmymen; 01-02-2018 at 03:42 PM. Last edited by lokeclo; 01-01-2018 at 12:12 PM.